That's partly why the Xbox 360 is a great choice right now. Released at the end of 2005, the technology it comprises is absolutely cutting edge, making it, according to a whole host of reviewers, the best buy available. With a wide range of features, including high quality online gaming capability and HDTV compatibility, the Xbox 360 offers a fantastic all round gaming experience. 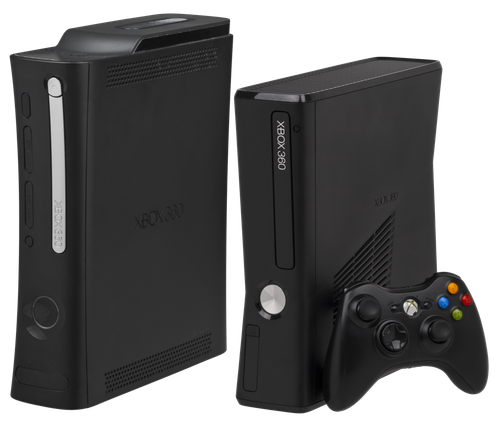 And though this version of the Xbox surpassed its predecessor after only four years, the lifespan of the previous console has been extended to a certain extent, as over two hundred of the most popular Xbox games are compatible with the new 360 version. Some gamers are holding off on purchasing the Xbox 360. Why? Because the PlayStation 3 is due out sometime this year. But while most experts agree that the PS 3 is likely to contain more technological innovation that the already released Xbox 360, the PlayStation is likely to cost up to $200 more. For the extra investment, the PS 3 will include a Blu-ray high definition DVD player - the down side of this, however, is that movies are not currently available in this format, though they are likely to surface within the next two years. There is little question that the upcoming PlayStation will be somewhat technologically superior to the Xbox 360, but with a release date still to be confirmed, many gamers prefer not to wait to enjoy gaming of the highest quality. And with technology that will be useless to the majority of consumers for the next couple of years, for many gamers, the PlayStation 3 simply isn't worth the wait. So enjoy the moment in all its glory, and go for an Xbox 360.